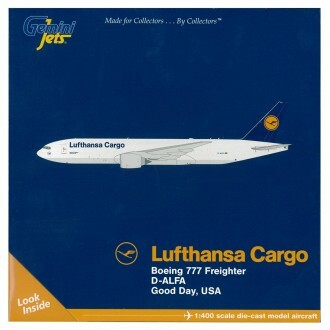 During the early 1980s, several of Boeing’s customers approached the manufacturer to develop an airliner that would handle higher passenger loads than the 767-300 yet be smaller than the 747 series of aircraft. This led to the launch of the Boeing 777 which started a new revelation in comfort and efficient air travel. 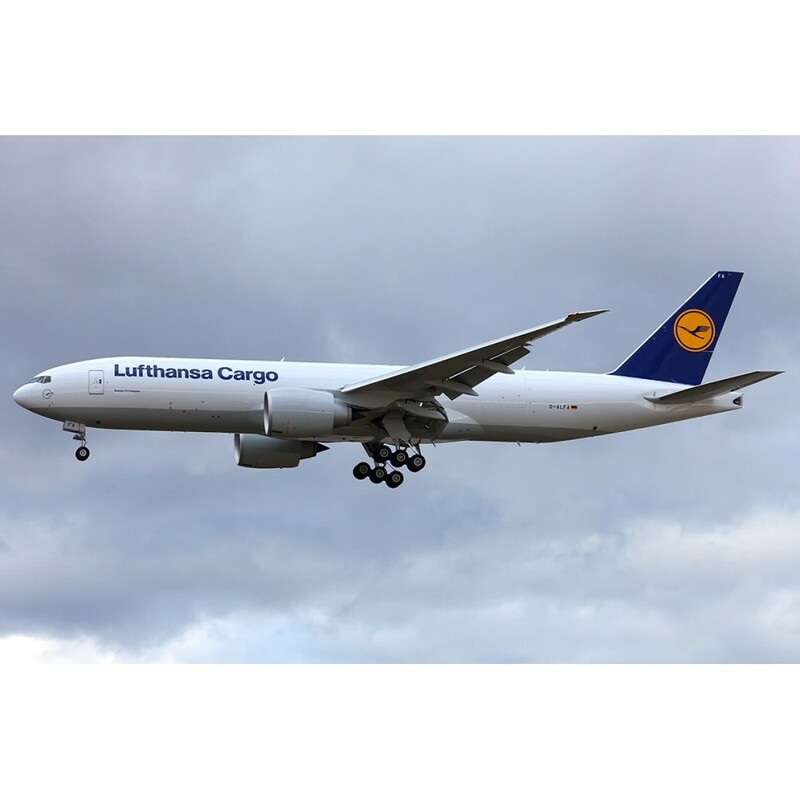 The 777F is a dedicated version designed specifically for freight operations. 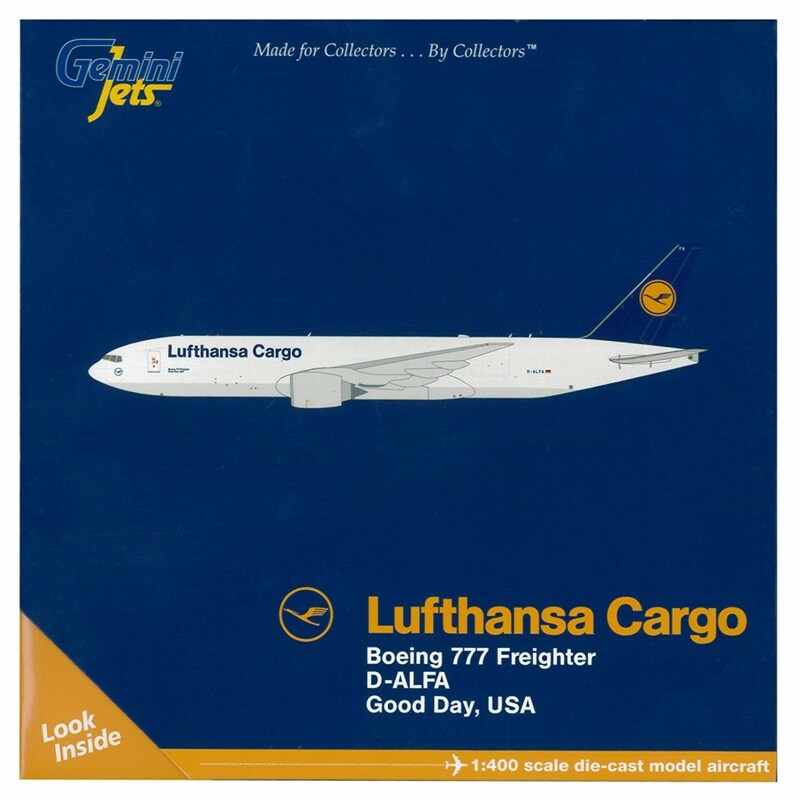 Gemini Jets brings you the highest quality precision diecast metal airliners in highly collectable limited editions, with officially licensed markings, printed graphics, as real as it gets features and realistic metal landing gear. 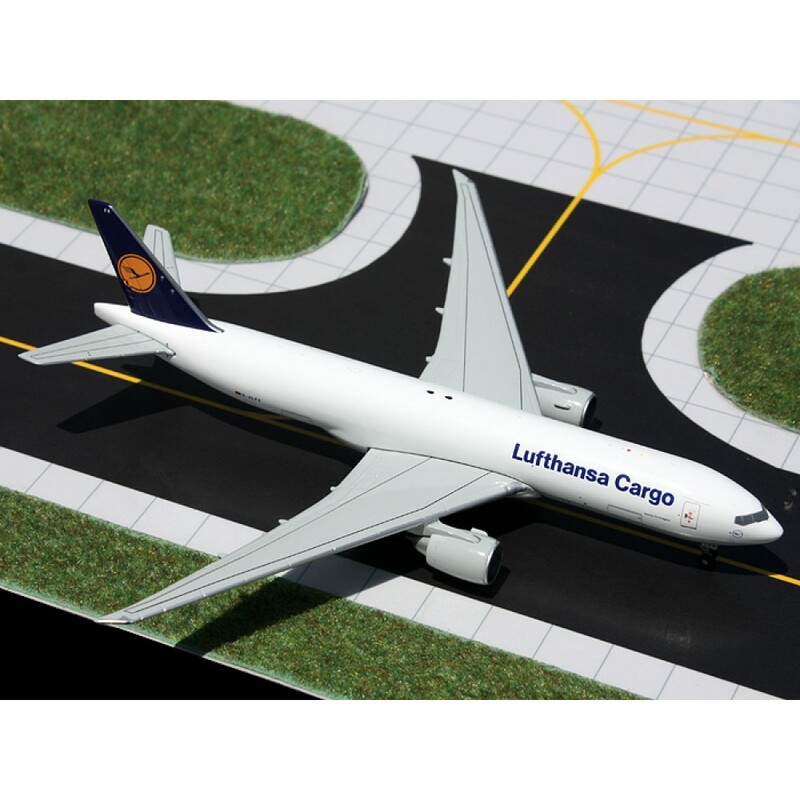 Registration-marked packaging is personalized to each aircraft to enhance its collectable value. Each model is released only once and never reissued. This model is 16.5cm long with a wingspan of 16.5cm.